The Law Group provides estate planning, estate administration / probate, and related services. We have extensive experience in dealing with both small and large estates. At a minimum, each estate plan should include a Last Will and Testament, General Power of Attorney, and Health Care Power of Attorney. Other estate planning documents to consider are a trust and a living will (declaration for a natural death). 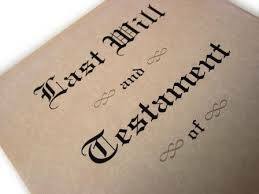 A Last Will and Testament is just one part of a comprehensive estate plan. If one dies without a Will, state laws determine how and to whom assets will be distributed. A Will has no legal authority until after death. So, a Will does not help manage a person’s affairs when they are incapacitated, whether by illness or injury (a General and Health Care Power of Attorney should be used). A Will does not avoid probate. A Will is the legal document submitted to the probate court and tells the court how you want your estate handled. A Will is a good place to nominate guardians of your minor children. After passing, the Last Will and Testament is “probated” which means the Will is filed with the court and estate assets are transferred and debts are resolved. When probate avoidance planning has not been implemented prior to death, the state will require a probate court proceeding if the deceased was a resident or owned assets in North Carolina. In a probate matter, the personal representative or appointed estate administrator manages assets, pays any debts, files required tax returns and various court documents, and distributes the estate assets.